Benny Shay, an archaeologist, arrives on Crete to authenticate an ancient Minoan artifact supposedly discovered by a tomb robber. Within twenty four hours of arriving, the tomb robber is murdered, Benny’s friend and financial supporter is killed in a car accident, and Benny is being followed. After hiring a tour guide, Tara, who believes Benny is searching for a treasure, the two discover a Minoan tomb with an inscription that leads them to the Minoan palace of Phaistos. Here they find a system of tunnels under the site that ends at a secret room where they discover a gold bull pendant. 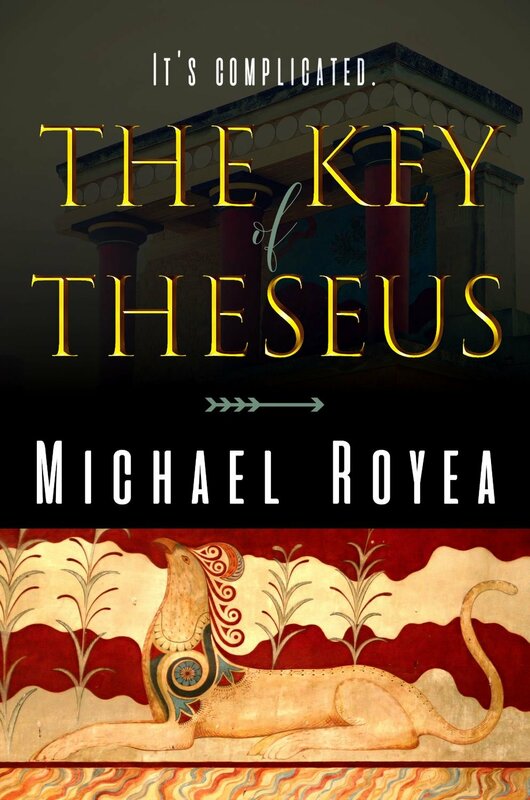 Following a series of clues they begin to believe the pendant is the mythical key of Theseus that opens the treasury of King Minos. They deduce the treasury must be in the labyrinth under the palace of Knossos, home of Minos, and the Minotaur. But others seek the prize and their van is forced off the road, Tara is kidnapped and then rescued by Benny when he blunders onto the kidnappers. And more bodies turn up.